Thanks man, I finished up the washers and made the end cap pieces for the c channels. I also picked up some more 1/8 inch plate to beef up the factory frame support at the control arm and spring perch mount. 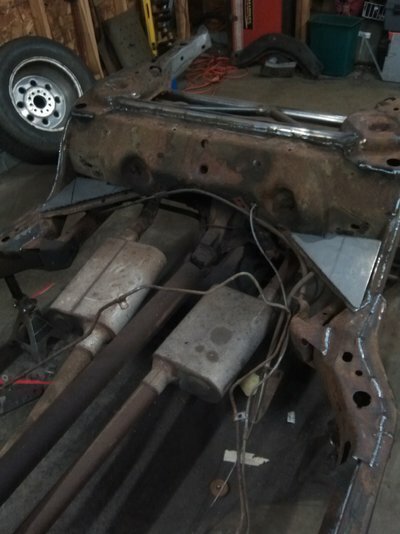 Hopefully this weekend I'll get it all welded up and painted with por-15. 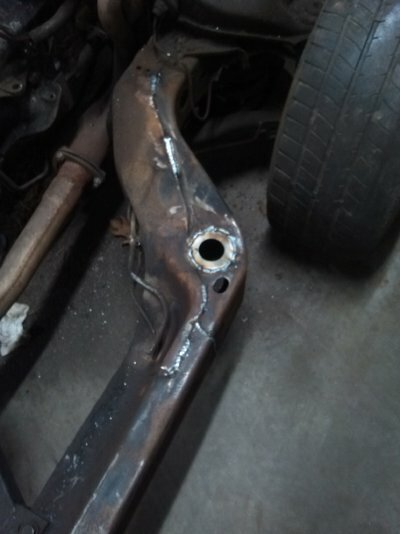 I'm also going to weld some plate on the frame for the future roll cage. 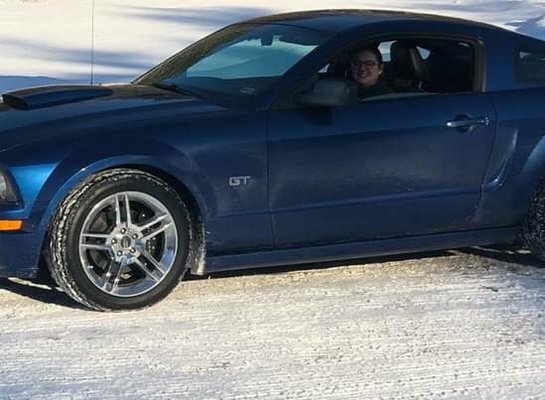 I also went and got my wife's birthday present yesterday. 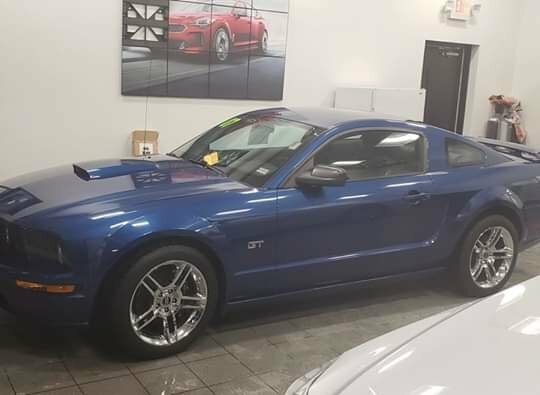 Gotta keep the wife happy so I can spend money on the Monte plus we can cruise together without cramming my boys in the back around the cage. Fab work on the frame is done!!!! 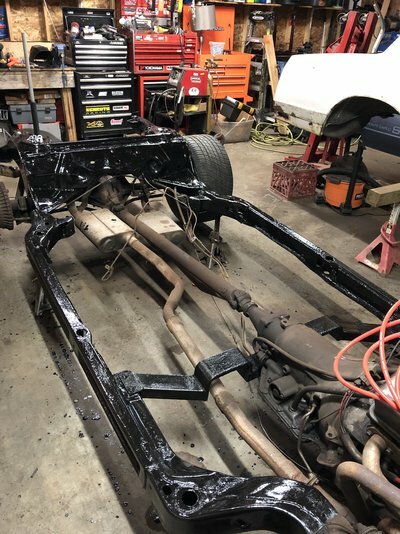 I was going to weld plates on the frame for the cage but after talking to my buddy at work who builds the cages for the rally cars, he said I'd be better off welding the cage directly to the frame it self. Now to attack it with a wire week and por-15 it. Got the frame all painted up over the weekend. 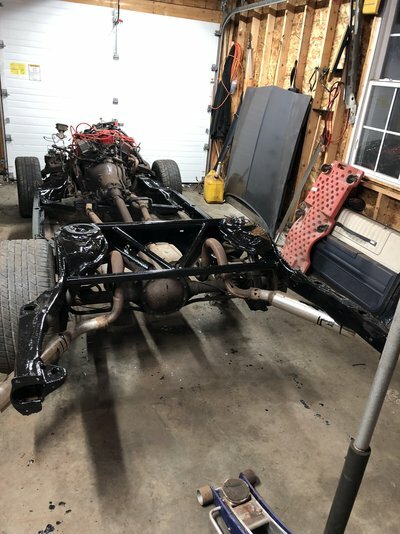 Hopefully I can get started on the body this weekend. I plan on starting with the drivers rear body mount support I’m curious to see how the good mark piece fits. 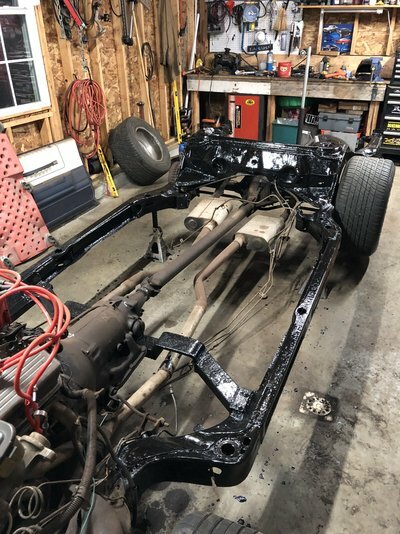 The only problem I ran in to was the rear wheels hit the lower shock bolt I’m going to get sphon’s lower shock relocation brackets that should solve the problem, I’m just going to remove the rear shocks for now. Does anyone have any feedback on summit racing’s three way adjustable drag shocks? The price is right if they work good. The reviews are mixed and most of the bad were adjustability problems. 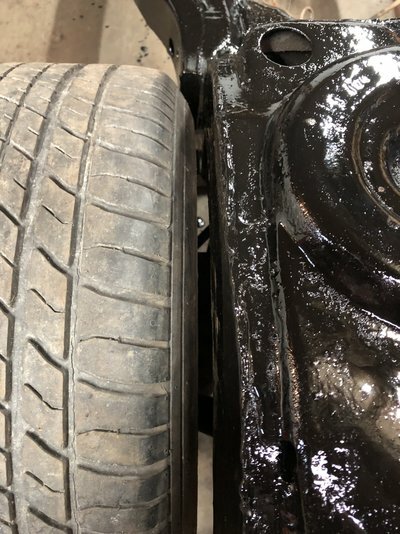 We use koni yellows on some of the cars at my work and some of the rear shocks can be a pain to adjust as well. What l said about welding the plate onto the frame, it's just for the plates. 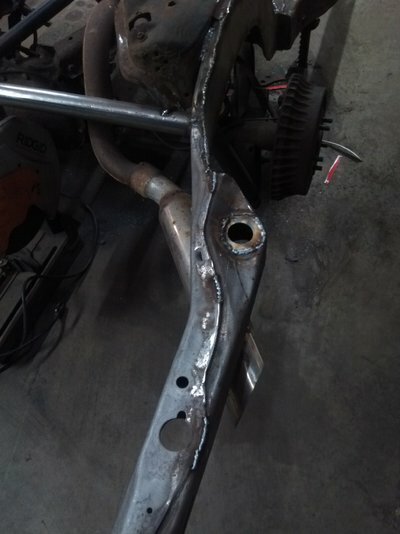 It's easier to weld plates onto the frame, that way you get all sides, it's hard to do with the body on frame. Then you cut hole threw body and push pipe threw and weld it to the plate you previously welded to frame. When you do it this way you don't have to cut as big of hole in the body for welding just around the pipe. I totally get what your saying about the plates it makes sense. 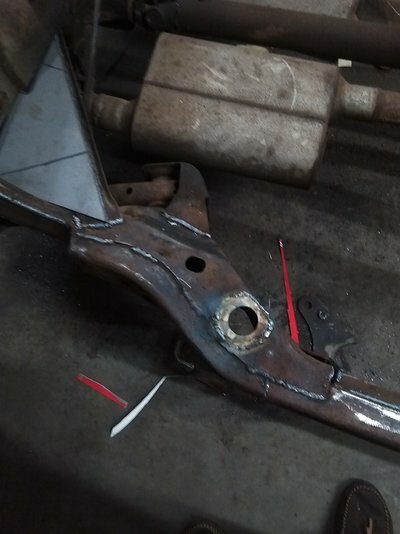 I asked the advice from a guy that’s been building cages for rally cars and drag cars for 30 years he said it would be best to weld it directly to the frame. I appreciate your input. I’d be happy with low 12’s to high 11’s N/A I plan on spraying a 100-150 shot of juice next year after I get the car dialed in suspension wise. I’ll also cage it then as well. It sounds like they’ll work for me for the time being. Thanks for your response. I got the drivers rear body mount support in Sunday. I used panel bond and also spot welded it in. 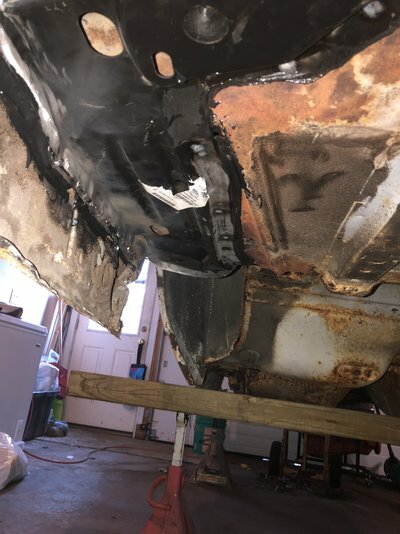 I also found some more rust on the ends of the rear seat support. I’ll be fixing that next.